Blog Why Custom Finger Prostheses? A client’s greatest desire is to be complete or whole again. The loss of an upper extremity such as a finger or hand may have severe physical and emotional consequences for an individual. It is a serious threat to the individual’s core identity. Fingers and hands are often the only exposed part of the body besides the face. Unfortunately, many individuals with amputations steer clear of public places, intimate relationships, and chronically hide their residual limb or even avoid employment opportunities due to their condition. There are many choices today in prosthetic rehabilitation. Studies have shown that professional health care providers have a different perspective regarding function, comfort, and aesthetics than that of the patient. In our experience, talking with thousands of amputees and professionals, we have found this to be accurate. Our prosthetics are specially created for each finger amputee, as they are custom designed and formulated out of our high-strength hypoallergenic medical grade silicone. 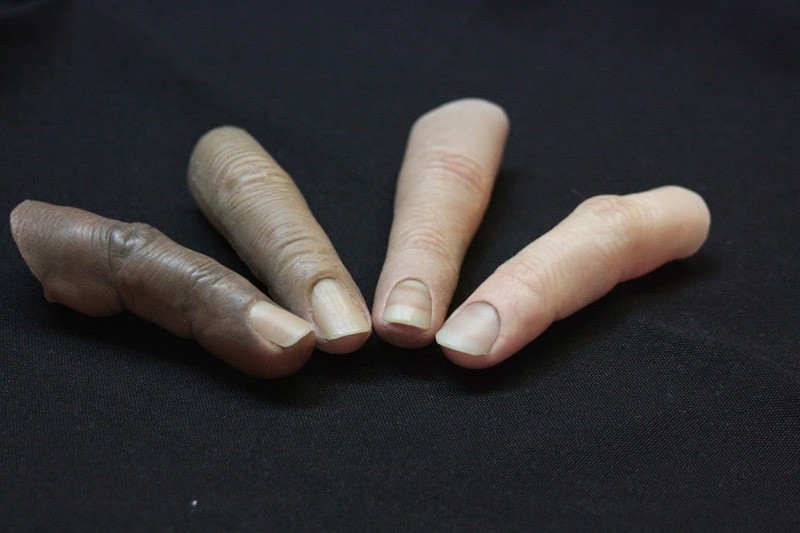 Made by Alatheia Prosthetics, each Dermatos® prosthesis is meticulously sized and sculpted right down to the fingerprints, skin pores and fingernails. Dermatos® nails are extremely durable and may even be painted and treated like real nails.